The Guild Championships takes Expeditions to another level, and allow for cross world competition! Every week your guild will be grouped together with up to 7 similarly-sized random guilds from different worlds of your language version*. 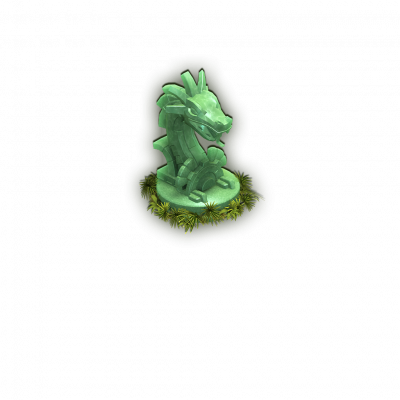 During the 6-days long Expedition, you will be able to compete against them. Make sure that as many of your guild mates as possible complete the Expedition to get to the very top of the ladder! The final spot that your guild will occupy depends on how far you and other guild members have gotten in the current Expedition. While completing the three difficulties will get you to 100%, the highest possible score is 133.3% and can be achieved when everyone completes the fourth difficulty. Guilds and members participating in the fourth difficulty will also be indicated with a flaming pyramid icon next to their name. The progress is updated live, so you can keep an eye on the competition all the time! 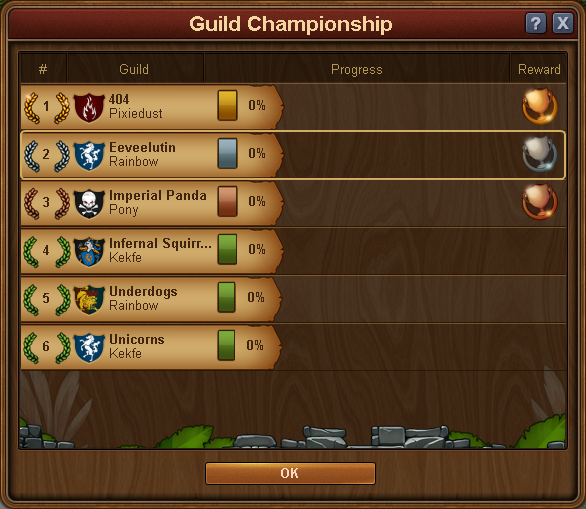 For example, the noble guild you can see above managed to get to the second spot once (so far). This feature is available cross-platform and all solved encounters (PC and mobile) count towards the ladder. This page was last modified on 18 April 2019, at 16:46.